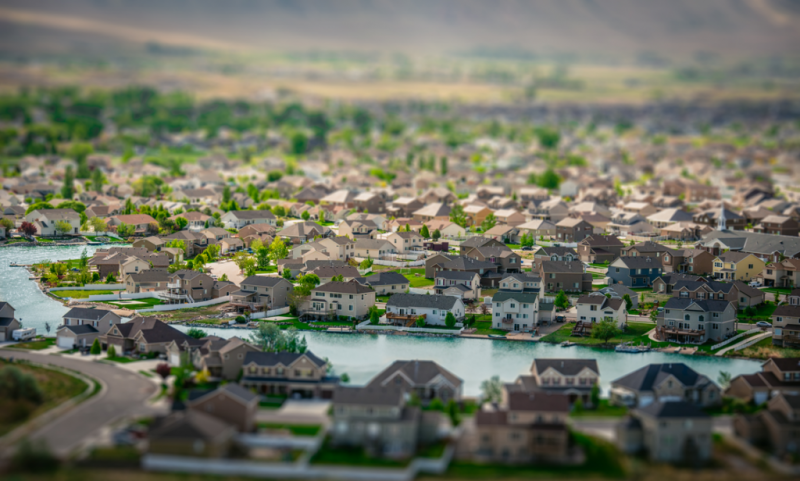 Captured from a hovering helicopter, “Small Town” depicts a suburb of Salt Lake City, Utah. From this vantage point I am only privy to the superficial aspects of this community, but the pristine nature of each cookie-cutter house contradicts what I imagine to be the reality of their dysfunctional lives. A career in computer animation and visual effects for the last ten years has allowed me to generate and craft some of the most visually impressive images I could have imagined. Being an early adopter of digital art, particularly 3D rendering which required emulating light behavior in a computer and carefully constructing synthetic imagery that is indistinguishable from photography, has given me a unique perspective on my recently discovered passion. I initially developed my eye at a young age with photo-realistic oil painting and as a commercial director for over a decade, I have had many opportunities to explore creating realism in motion. I am now fascinated by and consumed with creating still images where I can utilize and capture real light.